Information sessions are being offered to clients at the top of our public dental waiting list. As a result of the ever- growing demand for dental services, Link HC has worked with Dental Health Services Victoria to implement a strategy to address clients on our waiting list. 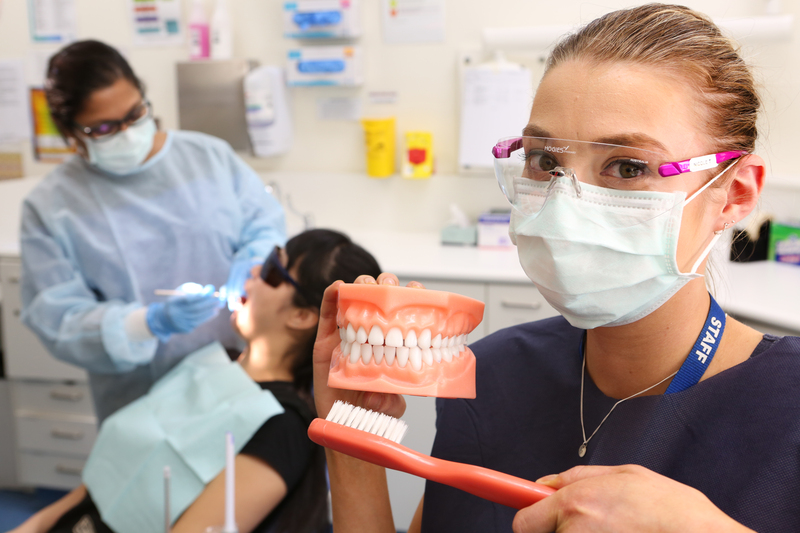 Following a model offer-of- care successfully piloted at Bendigo Health, Link HC has introduced a new process offering dental appointments for people on our waiting list. All clients who reach the top of the general care waiting list now receive a letter of offer for an information session. This session will outline how the public dental system works, improve people’s understanding of the various dental care pathways, and provide oral health education. At the end of the session, people will be able to choose the care pathway most suitable to their needs. This will ensure a more efficient use of the public dental resources and better outcomes for the community in accessing oral care. The philosophy of the model is based on the fact that dental disease is preventable, yet people return for care with the same problems over and over again, missing out on the element of prevention. Link HC’s aim is for the people in our community to share the responsibility of controlling oral disease and optimising the care provided to each individual client. We hope clients gain knowledge on the multiple levels of care available at Link HC and this opens clear communication channels. We aim to commence a large scale collaboration with people who are eligible to use our service and start fighting oral disease together. The client will be the main contributor to daily oral health habits, and Link HC dental practitioners will be oral health coaches and treating clinicians. The first sessions in November 2018 proved to be fruitful and the feedback received from participating clients was that they found it interesting and educational. Many told us they understood the need for shared responsibility in their oral health. We expect to see better attendance with dental appointments, better oral hygiene, less sugar consumption and less smoking in our participating clients. It is well known that this is the secret to achieving better oral health, so we take leadership to support our clients embracing it. To find out more about our dental services, please call us on 1300 552 509. Notifying me of where my name is on your list would be very helpful. Waiting for a letter ‘out of the blue’ is not helpful. Thank you for your comment. We have passed this message on to our dental team for further response. Thank you for your enquiry regarding your wait time on the general dental waitlist. Your name was placed on the dental waitlist at Link on the 22.6.2017. The waitlist is approximately 24-26 months in length. If you have a dental emergency, please contact us on 1300 552 509.